TFV has been invited by Hasbro for the 5th year in a row to participate in this year’s Transformers Hall of Fame. This year, the fans determine both Hall of Fame inductee characters. We’re polling our readers to find out which Transformers character should be included in the fifth TF Hall of Fame alongside Hasbro’s past choices. Click here to cast your vote! Past winners include Optimus Prime, Megatron, Bumblebee, Starscream, BW Dinobot, Ironhide, Ratchet, Soundwave, Waspinator, Grimlock, Shockwave, Jazz, Wheeljack, BW Megatron, and Ultra Magnus, so your vote will determine who gets to be in some illustrious Transformers company! The long-awaited third season of TRANSFORMERS ANIMATED is finally available on DVD! 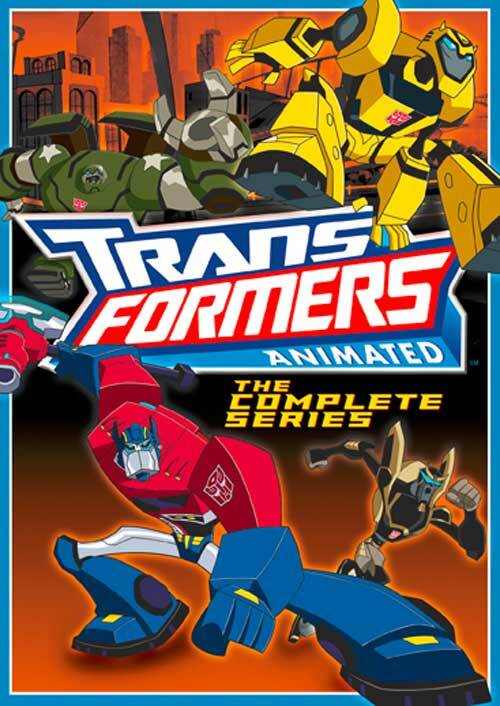 Fans of the popularTRANSFORMERS classic animated adventures can relive the excitement and action of OPTIMUS PRIME and his team of AUTOBOTS through the complete TRANSFORMERS ANIMATED series, including the never-before-released Season Three DVD, in one exciting home entertainment collection. From 2007-2009,TRANSFORMERS fans and kids were introduced to this high-octane action adventure series, which chronicles the brave AUTOBOTS as they seek to protect the ALLSPARK, their new adopted home Earth and their human friends from the Earth-bound super villains.